Toronto, Ontario—Across Turtle Island, people mobilized and gathered in acts of remembrance for those during the Quebec City Mosque Shooting and in solidarity with the Muslim community. A year ago, in Toronto, vigils and rallies were held after the Québec City mosque shooting in local expressions of mourning and defiance. Today, we continue to show our love and support to the families of Ibrahima Barry, Mama our Tanou Barry, Khaled Belkacemi, Aboubaker Thabti, Abdelkrim Hassane and Azzedine Soufiane. The Women’s Coordinating Committee for a Free Wallmapu (WCCC), members of Solidarity Against Fascism Everywhere (SAFE) refuses to let their murders be forgotten and stands with our Muslim comrades! “The troubling rise in Islamophobia in has reached its peak in Canada. These events remind us that racialized bodies in Canada are marked not only as ‘dangerous’ but ‘expendable’! We must vehemently refuse to stand by and let the murders of the victims of the Quebec Mosque be relegated to the margins of ‘collateral damage!’”, says Safia Gahayr, former President for CUPE 3907. We also must acknowledge that this act of colonial violence towards our Muslim comrades is not an isolated occurrence. 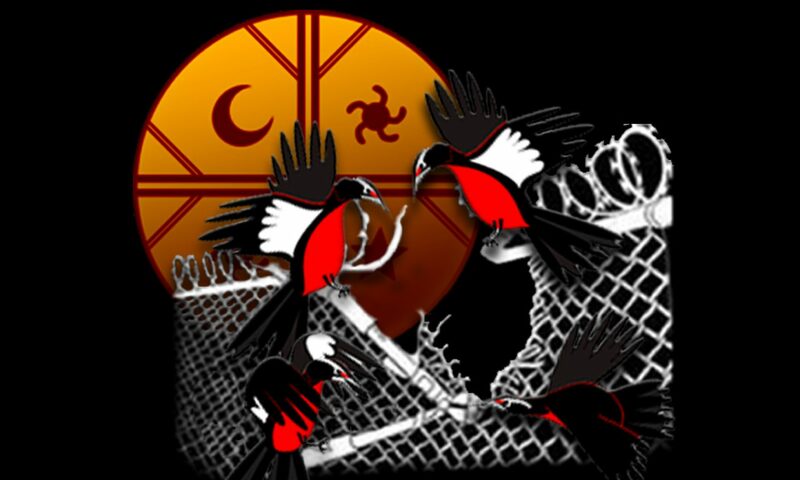 We resist the forces of colonial power from the rise of far right political forces across the globe to Islamophobic and colonial white supremacist violence throughout our own city to the plight of indigenous communities on Turtle Island and Abya Yala. This racist brutality occurs everyday across the city of Toronto and we must turn our grief and rage towards action to build mutual solidarity in our communities in resistance. “As indigenous peoples, we have always been the first to experience the brutality of colonial racism. It is this ideology of plunder that led to the development fascism and white supremacy, and we feel it is our responsibility to stand in solidarity with the victims of this violence”, says Lydia Colihue, member of SAFE and Vice-Head of the Women’s Coordinating Committee for a Free Wallmapu. Lydia Colihue, SAFE Rep. for the Women’s Coordinating Committee for a Free Wallmapu.